Judges Superbolt, Directors Choice and Dance Excellence Awards. Set of awards recognising dancers, routines and studio achievements. The Top Routines, Highest Scores, Top Studio Winner. We present the Eye of the Storm Awards at the end of the competition, completing the Flashover Finale. 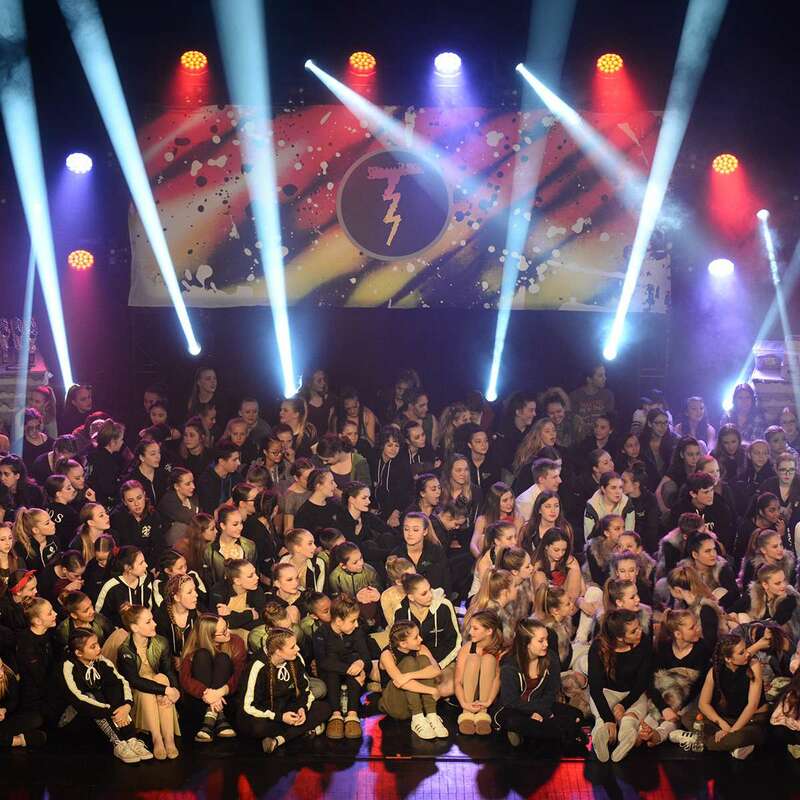 They kick off with unique awards from our adjudicators and Artistic Director recognitions awards; the Judges Superbolt Distinctions and the Directors Choice followed by an announcement of the Dance Excellence or Lucky Seven as there are seven (7) genres of dance excellence recognised. Our Performance Recognitions are a set of unique awards that include; our > >Raditude, > >Rocked The House, > >People's Choice Nominee, > >Star Dancer Nominee, > >Stellar Choreography, and the > >Thunderbolt Solo Winner. We recognise the > >Top Routines for Solos/Duo/Trios and Groups differently, the former by score and the later through a Battle. The > >Highest Overall Scores come from the pool of > >Top Routines. They are determined based on score (results in the competition) not the Battle (ranked). At each regional, we recognise the > >Top 5 Studios. We invite Directors to the stage, where we announce the > >Top Studio Winner. The Adjudicators each select a dancer from their previous Judges Choice Awards for distinction. The competition director chooses their favourite dancer for distinction. The winner is awarded a scholarship to TRANS4M. The Dance Excellence is awarded to exemplify fierce technique throughout the performance. It is often too hard to select one routine among the many different dance styles, and our adjudicators often wish to recognise several, yet there are far too many to award excellence in each dance style. So, we created what we call the Lucky Seven and categorised he difference dance styles into seven (7) main genres. A Dance Excellence winner can be from any performance division, typically from the Rock Star and Super Star divisions. Performances are evaluated based on execution of the technique for a particular dance style. The routine must score be a Lightning Gold or Platinum Thunder. These are, after all, excellence in dance! There must be a minimum of 10 routines in the dance style. That includes all ages and all performance divisions. Raditude is an award chosen by our backstage staff for a dancer, routine, or studio that combines both their passion for dancing and a positive spirit towards others. Rocked The House is chosen based on the energy and spirit of the performance over technique. It is a routine that engages the audience and is enjoyed by those performing. Awarded to a group performance with ground shaking energy to represent the each regional for Thunderstruck Canada. One routine is selected from each Regional to be the nominee for a National online voting contest. Please visit our Online Contests page for more information. Awarded to a soloist to represent the each regional for Thunderstruck Canada. 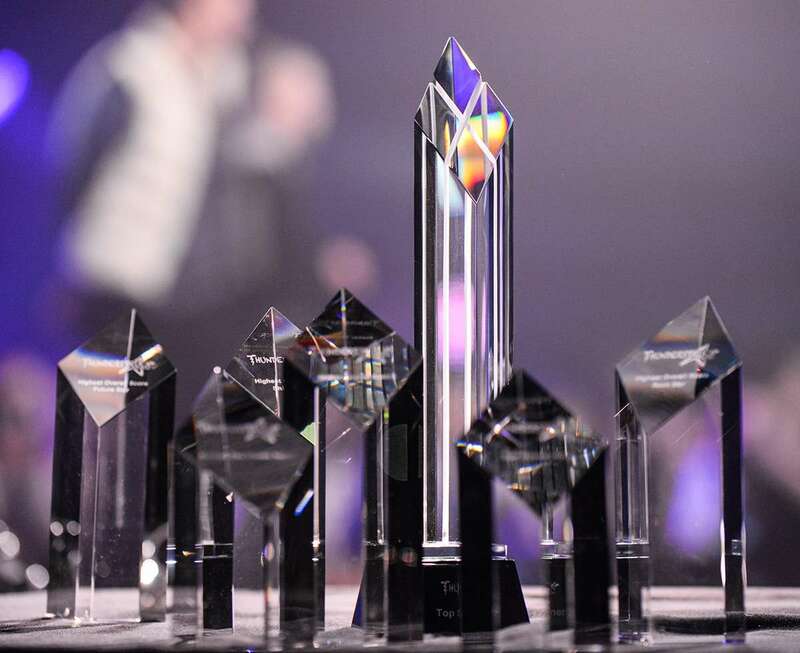 One performance is selected from each Regional to be the nominee in a National online voting contest. Please visit our Online Contests page for more information. This award pays tribute to the creativity, hard work and persistence required by a choreographer to train dancers(s) to deliver a memorable performance that tells a compelling story and combines originality, technique and executes it with the precision required of a well-rehearsed routine. The Thunderbolt category is for dancers with three (3) or more solos in the competition. The winner is determined based on the average three. Full details are available on the Thunderbolt Solo Page. We recognise the Top Routines as a segway to the Highest Overall Scores for each Performance Division. The Top Routine for Solos and Duo/Trios and the Top Routine for Groups are determined differently. One by score and the other by Battle, respectively. We present Top Solo and Duo/Trio Routine Awards based on the score. The Small or Large Group with the highest score from each Age & Performance Division is recognised. These routines are eligible for the Highest Overall Score for their Performance Division. Top Group Routines determined through a Battle. The Top Three (3) Small or Large Groups from each Age & Performance Division qualify and Battle to determine the Top Routine. This award is selected based on score, so it is possible for a routine to have the Highest Overall score but out-battled and not be one of the Top Routines. A segment must have a minimum of ten (10) entries to be announced. Thunderstruck Canada has four (4) competitive Performance Divisions (Shooting Star is non-competitive) with dancers competing at their skill level. Recognising the highest score of the event did not seem fair, as theoretically, this would always be a Rock Star routine. Because we have four (4) competitions in one, we decided it was best to present an award to the Highest Overall Score for Future Star, Shining Star, Rock Star, and Super Star divisions. The Future Star, Shining Star and Rock Star Performance Divisions and the Super Star division are a bit different. Below we chart the different Top Routines and the Highest Overall Score selections. The Super Star division is set up as a battle, so Solos and Duo/Trios already battle each other in the main competition. The Groups battle as well and both are awarded Overalls. We award the winner of the Highest Overall Score for Super Stars to the highest score from these Overalls.